Purpose of this self-assessment: The purpose of this document is to help you assess where your organization is today, challenge your thinking and define what you need to do to move your Customer Experience to the next level. Please complete the form by selecting the score that is most applicable to your organization. Please use the 80/20 rule, there will always be exceptions. We are trying to look at your organization ‘in general’ by comparing your scores against our database, thus providing you a benchmark of your performance. Upon completion, your results will be denoted in yellow, while our database averages are denoted in purple. In each case the higher the score the better. If you have scored a 2, for example, and the database is roughly the same this shows us there is a big opportunity for you to gain competitive advantage by starting to focus on this area. Clearly, if you scored less than the database average then you are starting to fall behind and again need to address this. Remember, other people in your industry are not standing still. Potentially they could be working on this now. Thanks for undertaking the self assessment. To understand your results further we recommend that you attend one of the events below. To what extent has the organization accepted that Customers buy emotionally? People still think customers solely make decisions rationally. It is fully accepted that customers buy emotionally. To what extent are emotions discussed in the organization? To what extent are specific emotions known that drive and destroy value? We do not know which specific emotions drive value. We know which specific emotions drive and destroy value. To what extent are designs that evoke specifc emotions implemented into your customer experience? Emotions are not designed into our CX. We design specific emotions into our CX. 2. Embrace the all-encompassing nature of Customers' irrationality. To what extent does the organization recognize that people are irrational? People believe customers purely make rational/logical decisions. People recognize customers make irrational and illogical decisions. To what extent does the organization embrace the difference between what Customers say they want and what they actually want? 3. Understand that Customers' minds can be in conflict with themselves. To what extent does the organization recognize that Customers use their Intuitive or Rational systems? To what extent has the organization designed the experience to optimize Customers' Inuitive and Rational systems? 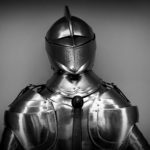 To what extent has the front line teams been trained to recognize when Customers are likely to be using their Intuitive and Rational systems and respond accordingly? 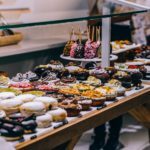 To what extent do we understand triggers of Customer behavior? To what extent have we recognized the subconscious signals that trigger Customer behaviors? To what extent do we understand how a Customer's specific emotions drive their behavior? 5. Uncover the hidden causes and unintended consequences of why Customers want things to be easy. 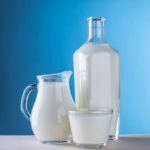 To what extent are we easy to do business with? To what extent do we understand when Customers have to use most of their brainpower to deal with us? To what extent have you identified the subsconscious aspects of your experience that are driving or destroying value? To what extent have you designed subconscious aspects into your experience to evoke specific emotions? 7. Realize the only way to build Customer loyalty is through Customer's memories. To what extent have you identified the peak and end emotions being evoked in your current Customer Experience? To what extent have you identified the peak and end emotions you want to evoke that drive the most value? To what extent have you designed these emotions into the peak and end of the journey? To what extent are you now looking at the "emotional experience"? We've just started thinking about this. We look broadly at positive and negative emotions. We look at specific emotions. We look at specific emotions we can prove drive value. To what extent do you measure specific Customer emotions? We've just started thinking about doing this. To what extent do you use psychology in the design of your Customer Experience? We are planning on training in this area. We use 3 to 4 broad theories. To what extent do you train front line people on how to identify how a customer is feeling and how to convert that into specific emotions that drive value for your organization? We only train them on how to deal with difficult customers. We train them how to identify positive and negative emotions in customers. We are starting to think about how we can train people to identify how customers are feeling. We train them fully on verbal and non-verbal communications (facial recognition, body language, gestures, etc). Many organizations plan to move their CX to the next level and yet many Customer Experience (CX) programs are starting to plateau. To make this change requires new thinking, understanding and predicting your Customers’ behavior. To do this it is vital to go beyond just the rational and emotional experience and into the subconscious and psychological experience. This is all outlined in Colin Shaw’s new book. 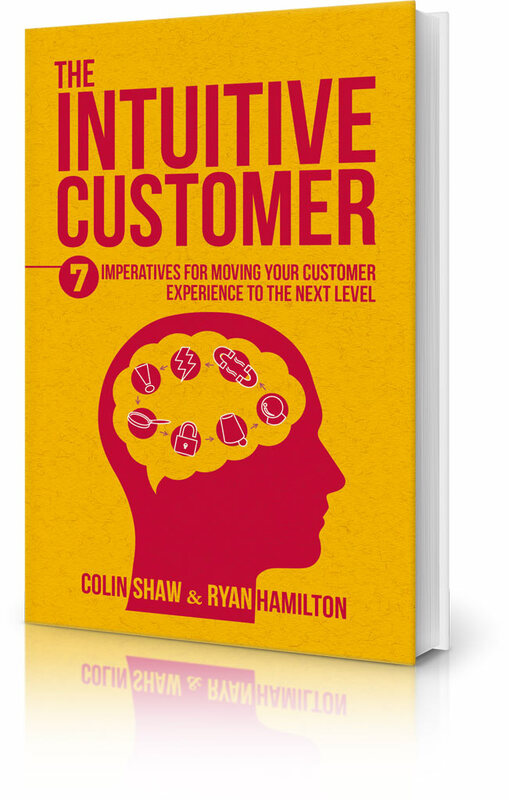 In The Intuitive Customer: 7 imperatives for moving your Customer Experience to the next level (Palgrave MacMillan, 2016), authors Shaw and Hamilton explore the reasons organizations are struggling to improve their Customer measures and are witnessing the plateauing of loyalty scores like New Promoter. For Shaw and Hamilton, the answer is simple: you need to understand the intuitions that drive your Customers’ Behavior at an emotional, subconscious and psychological level. This book describes where Behavioral Economics meets Customer Experience in a very easy to understand and practical way.